Born and raised in New York City, with roots from the Dominican Republic, Marco is a graduate of La Guardia High School For the Performing Arts in NYC and holds a Master of Fine Arts degree from Southern Methodist University. He has acted, written, produced and directed hits such as Pico de Gallo and the Southwest Premiere of Rick Najera’s Latinologues (which later moved on to Broadway). As an actor he has worked throughout the United States and in countries such as Venezuela and the Dominican Republic. Recent credits include “Various Roles” in Dallas Theater Center’s production of 365 Plays/365 Days and “Oberon” in Shakespeare Festival of Dallas’ production of A Midsummer Night’s Dream - The Musical. He has participated in various films and numerous national commercials for radio and television, most recently roles on Prison Break, The Good Guys and the film Upstream Color which is an official selection of the 2013 Sundance Film Festival. As a writer he has done commissioned work for ANTHEM, a national organization that promotes positive family dynamics, and has received acclaim for writing the Southwest hits Pico de Gallo and Heaven Forbid(s)!, named Outstanding New Play by The Dallas/Fort Worth Theater Critics Forum. His short screenplays, Silence, Mariscal and Kennedy In A Box all placed 1st at the NYC Midnight international screenwriting competitions. Silence was nominated for Best Dramatic Short, Action On Film Festival (Pasadena, California) and an official selection/Semi-Finalist, Dramatic Short, SoCal Film Festival (Huntington Beach). It is also a finalist in the prestigious Creative World Awards. Mariscal is a finalist in the Slamdance writing competition. His play, La Luz De Un Cigarrillo (Ashes Of Light), received an "extended by popular demand" run at New York's Off-Broadway LATEA theater and Lehman Stages and is the recipient of 5 HOLA and 4 ACE awards, including Outstanding Achievement In Playwriting and directing. Pulitzer prize-winning author Junot Díaz called La Luz De Un Cigarrillo (Ashes Of Light): "Fascinating! You must see it!" La Luz De Un Cigarrillo (Ashes Of Light) has been published in both Spanish and English editions by NoPassport Press and has also been added for study to the 2012 University Of Puerto Rico Spanish department curriculum as well as the 2013 Spanish and Caribbean Studies Department Curriculum at Rutgers University in New Jersey. Marco Antonio is the recipient of the distinguished Cultural Arts & Entertainment Award given by The New York State Hispanic Court Officer's Society. 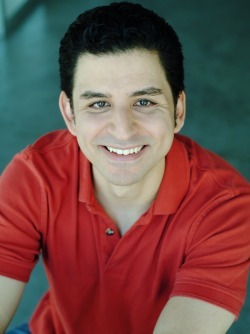 His latest play, Barceló Con Hielo (Barceló On The Rocks), won the 2012 Nuestras Voces Playwriting competition at Repertorio Español in New York City and will receive a full production in 2014. Marco Antonio is currently a columnist for Latino Leaders Magazine, a national publication. Find La Luz De Un Cigarrillo (Ashes Of Light) on Facebook as "La Luz De Un Cigarrillo. Ashes Of Light" and hit LIKE!